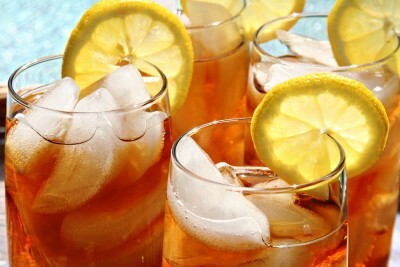 But the Iced Tea was, however a bit bitter, very very nice! Boil the water, then put in 6 tea bags and let them in for around 8 minutes (I did mine 10 minutes and it came out to bitter) then squeeze the lemon and add the juice. Put cold water into a big can, and pour over the tea. Then add, while tasting, the honey (you can add sugar to but I like honey, or just leave it out). put it in the fridge or use icecubes to cool it and enjoy!